Surabaya is the Capital of Jawa Timur, the second largest city of Indonesia. It is densely populated and highly industrialized area. As the necessary part of every machine, bearings are in great demand in the industrial developed areas like Surabaya. SKF bearings are the most famous bearings in the world, trusted by end users. In Surabaya, SKF bearings are best-selling. Technical data of SKF 2222KM/C3 Self-aligning ball bearings. 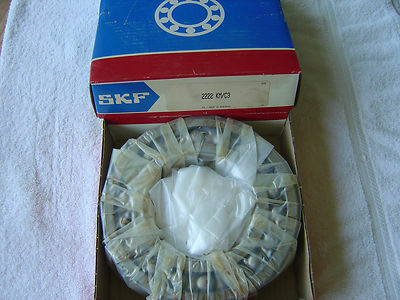 CMTG Bearing have exported original Europe SKF bearings toSurabaya customers for several years. Our bearings are perfect packed, Customers will never worry about damaging while transport. We welcome your inquiries.